Built for the Church Commissioners between 1827 and 1830. The architect was Thomas Lee (see also Lower Gornal and Coseley). 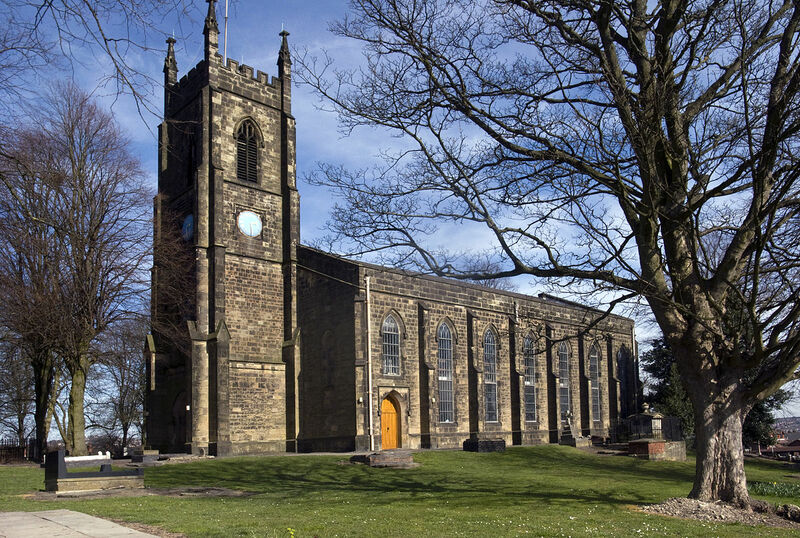 St Andrew's has a large graveyard and an imposing situation on a hilltop overlooking the village of Netherton and Merry Hill Shopping Centre. 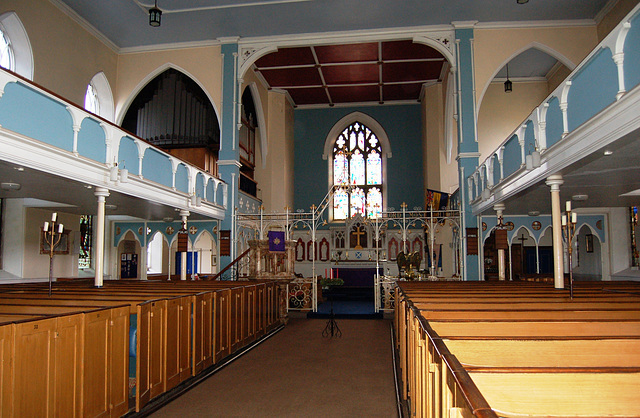 The interior still has the original box pews and is little changed from when it was built including galleries on three sides. There were restorations in 1886 and 1913 and the eastern apsidal vestries were added in 1938. Exterior image from Wikipedia, interior image from Ipernity. Both via Google Images. If we have infringed your copyright please let us know. References: Bridges, Tim: Churches of the Black Country, Logaston Press, 2008. Pevsner, Nikolaus: The Buildings of England, Staffordshire, 1974. Please click on red text for a link. External websites will open in a new window. Page updated October 2017.